What’s going on everyone? How is your day going? Thanks to all those who are a part of the FreeeUp community and your constant support for what Nate and I are doing on a day to day basis. This week, we’re at Jim Cockrum’s CES V 2017 conference at the Gaylord Resort in Orlando, Florida and I wanted to bring you some insights from what we’re learning along with the amazing people that we’re meeting (some of them may even be you). If you’ve never heard of Jim Cockrum or the CES (consulting, expanding, and selling) Conference before, it’s well worth your time giving it a look. Jim is a seasoned online seller who has been tapping into the power of eBay, Amazon, and other selling channels online for the past 10+ years. Throughout his career, he’s built not only his own selling behemoth, but also one of the largest platforms for coaching new Amazon sellers on finding their own business success. He has a book. He has this conference. He has a podcast. He has a blog. And he has an amazing private Facebook group where he advises thousands of entrepreneurs as they grow their companies. 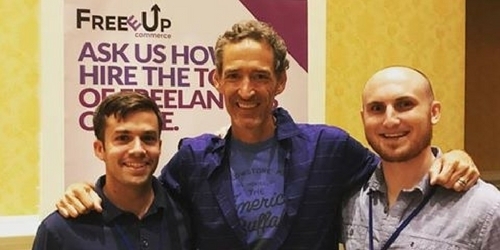 We had the pleasure of connecting with Jim in the past year as Nate started reaching out and networking with other eCommerce experts who may be interested in the FreeeUp service. We saw an amazing opportunity to partner with such a well known and humble individual in the industrial to build a relationship where we were also able to help his community grow their businesses by hiring reliable people. Hiring was one of the biggest struggles that we ran into while we were building our first company selling on Amazon. We hated the time that it took to post a description, interview people, and not know if the person would be reliable months down the road. It led to many frustrations with turnover, people management, and inefficient communication. And we HATED it. So we’ve been committed since we started FreeeUp to partner with other amazing coaches to help teach their communities how to do it right the first time. We don’t want others to struggle like we did…no business owner has that time. 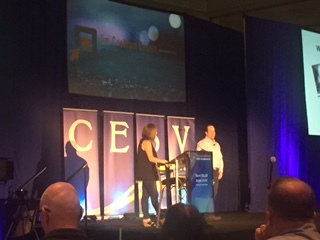 Jim introduced the conference by bringing his family onto the stage and expressed how important this event was to his mission of educating and helping others throughout his life. He then went on to introduce all of the products and services that his company offers to sellers, eCommerce entrepreneurs, and wannabe business owners. Jim Cockrum Mastermind –> it’s something he’s playing around with and may be available in the upcoming future. Following Jim’s presentation, he brought one of his lifelong mentors, Dan Miller, onto the stage to talk to the audience about investing in yourself and how important it is to building the life that you want 5, 10, 20, 30 years down the line. He hammered in on his own personal story and how he grew up as a farm boy in rural Ohio. He went on to express how he made a $15 investment into himself as a young kid when he purchased a set of audio tapes that taught him all about how to view your life so that it would naturally grow into what you envision over time. Sounds pretty awesome, right? He provided real life stories of the books that he read, the successes that he achieved, and the people that he met further inspiring the audience to invest in themselves each year. He even went as far as providing a dollar amount that you should be investing in yourself each year. If you are making under $50,000 per year, invest 3% of your yearly income into yourself. That equals $900 per year at a $30,000 salary. And then once you are making $50,000+ per year, invest 5% into your personal growth. That equals $2,500 per year. What are your thoughts on that? Is that something that you believe in? Why or why not? I know that I’m a firm believer in self investment. It was my first time hearing those specific percentages with regards to your yearly income, but I wasn’t too surprised by it. I think that’s an amazing metric to use while growing yourself throughout your journey, whether it is personally or as an entrepreneur. After a quick break, Brett Bartlett came on stage to speak about how he’s built his company, Dynasty Toys, using viral videos that create a real connection to his customers. 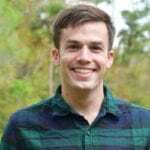 Throughout the presentation, Brett showed videos that he’s created in the past year to grow his business and become ranked higher than Nerf guns on Amazon.com. I was most impressed by the nuances that he was able to create within the videos that he showed and how it so perfectly connected to the potential customer. It’s hard to explain without showing you so here is one of his videos for a laser gun that has an electronic spider that crawls around the floor while you try to shoot and kill it. The crowd nailed the answer as well. They responded (1) dad and daughter moment and (2) when the daughter got scared of the spider. Why does that cause this video to go viral attracting thousands of views and comments? It’s the human connection that it creates. People can relate to the people and the situation in the video. It feels like something that could happen within their life with their family. It comes across as a genuine video that wasn’t created to promote the product, but rather an experiment by a dad to play and create a bond with his daughter. People love buying from people. When they can relate to a story that could also happen in their life, they are more enticed to buy. It’s a simple rule in selling, but that most people struggle significantly with achieving. Towards the end, Brett also talked about a topic that I’ve been learning a lot about recently: communication channels post purchase or post subscribing. His company is approaching this through a new method where many marketers are seeing HIGH open and response rates from their customers. Keep reading to learn what that method is. Instead of simply pushing the people who watched the video to a website landing page, Brett decided to prompt the watcher to text a specific saying to a simple phone number to receive a 50% off coupon for the product. They text the number, he provides them with the coupon code, and then also adds them into a Facebook messenger group where he can continue to follow up with them and sell them more products. 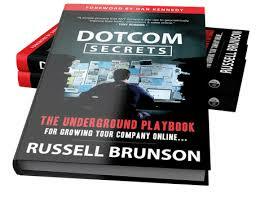 Over the past week, I’ve started reading and taking notes on Russell Brunson’s book, DotComSecrets, and he talks extensively about the communication channels that you open once you’ve gotten a potential customer to subscribe to your mailing list. He has an entire system that he explains in the book where he is teaching you to do the same exact thing that Brett did through his video: create that personal connection. Again, people buy from people. Brunson walks you through the process of creating (what he calls) an Attractive Character, a person (could be you or someone else in your business) who you create a story around and share with your audience. You use your first 5 emails to the new subscriber to introduce this character and show the potential customer that you are REAL. You have troubles. You have successes. And you started from somewhere humble. No selling. Just connections. Once you’ve created that connection, you want to keep in touch with your potential customers so that you can eventually turn them into customers (says Brunson). The way that he does this? Through what he calls “Seinfeld emails”. How’s it going today? How’s your business growing? 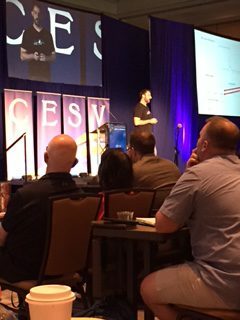 Yesterday I was at Jim Cockrum’s CES V conference in Orlando, Florida (back to the homeland). Ever heard of Jim? He’s a guru at selling on Amazon and has built an 8 figure business through his selling, consulting, and company expansion philosophies. I was at the conference to represent FreeeUp and it was an absolute blast. I spent the day listening to top level experts speak on stage (Dan Miller, Jim Cockrum, Brett Bartlet, Manny Coats, many more) all about their experiences and the top hacks that they have for managing and succeeding in life. Who doesn’t love learning from top level entrepreneurs and business owners? I can’t get enough of it. Throughout the day, I also got to meet (probably close to 100) awesome people selling on Amazon and looking for the same exact thing that I was seeking by coming to the conference — learning and personal growth. I love surrounding myself with people that love learning and growing. What’s the last investment that you made into your personal growth? If you’re thinking and haven’t made an investment into yourself in the past 6 months, make a change. By investing in yourself, you increase the chance that you too can build an amazing business that is running on its own so you can enjoy your life. What do you think? Is it worth it? One way that I invested into my personal health when I was still building my Amazon business was to start taking tasks off my plate. I was bogged down with hours and hours of work that I didn’t feel comfortable taking off my plate for years. My business partner, Nate, told me for months to take that off so I could work on other things, but I just couldn’t do it. But finally I made a breakthrough. I hired my first personal assistant. I set them up to handle multiple hours of tasks within my day and within weeks I had new hours that I could use to continue to grow the business. Woah, wouldn’t you want that? If this starts to get your mind running and you can relate to that feeling of being overwhelmed, now is the day to make that personal investment. If you click this link right now, you are going to start to make that personal investment and make a real change in your life. Create real connections with your customers and you will see more sales. People crave a connection to others while shopping and it’s become harder to do with the Internet, but it’s still 100% possible. I just showed you two ways through video and email. There are plenty of other channels as well. You just need to stay focused on it. Get out there and create those connections. Manny Coats was next to take the stage and boy did he bring it. Manny’s title of his presentation was 7 awesome hacks and tools and he gave us exactly that with detailed screenshots on the ways that he and his business personally use them to build 7 figure businesses. 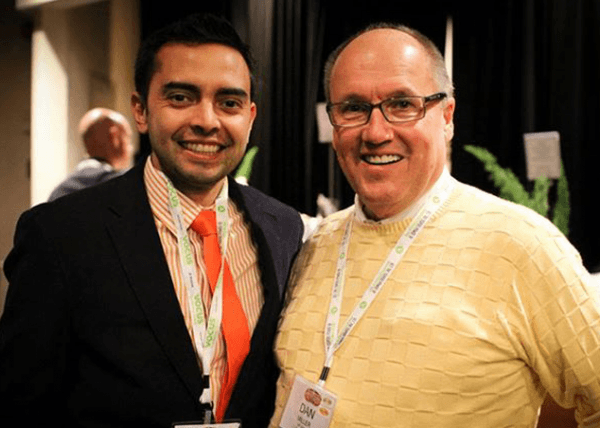 What I enjoyed most about Manny’s advice was how actionable and detailed it was. I’m a person that loves processes and finding the best possible strategies to achieve certain tasks for desired outcomes and results. It appeared that Manny was of a similar mindset because each example that he provided was very particular. Each example had a specific set of steps that you could take to examine your Amazon inventory to identify ways to sell more and take better advantage of the economics of selling on Amazon. For more information by Manny Coats, be sure to check out his AM/PM Podcast, his business Helium 10, and his story on his own website. 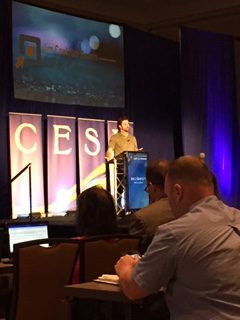 Tyler brought a lot of energy to the stage as he dove into strategies to optimize your product listings on Amazon. Sales just don’t happen on Amazon and it takes the right content to make your product listing a best seller. I sure know what he’s talking about and the time that you put into optimizing a listing can go a long way when it comes to sales over the long run. Personally, I’ve never become an expert at creating content for Amazon listings, but I’ve hired some amazing people that have years of experience and know how to optimize for Amazon SEO at an extremely high level. I commend all those out there that are able to dig into the intricacies of Amazon’s search engine and create keyword loaded product listings that speak directly to what customers are searching on Amazon. Following up Tyler was Teresa Rose, an absolute expert at FBA wholesaling. She shared (I believe) 10 diferent ways that you can research and find wholesale companies where you can find success while wholesaling on Amazon. She dug into Amazon specific reports, Google chrome add ons, Keepa.com, sourcing through blogs and niche websites, and Pinterest, among others. 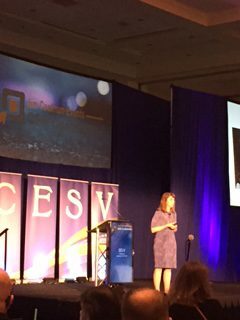 Her entire presentation reminded me of the early days in my Amazon business where I was researching manufacturers by using competitors that were also tapping into the drop ship business model. Through experience, i had learned that not all suppliers were open to drop shipping. Many of them had poor experiences as the drop ship business model became popular 10 to 15 years ago and so they completely gave up on it. Absolutely understand. There were a lot of companies that didn’t know what they were doing and were only chasing the dollar bill. That realization led me and Nate to start researching manufacturers that were already working with competitors that we knew were running their business through drop ship relationships. Can you imagine it? We found other companies that were solely working with suppliers that could drop ship then we’d reach out to them expressing out interest in selling their products on Amazon. We’d back it up with large amounts of feedback and an expert knowledge of Amazon and we’d create the relationship. As Teresa dug deeper into the strategies that she enjoys using the most, it gave me flashbacks of the days that I sat in our college houses where we discovered those first manus and reached out to them to create a distribution agreement. I couldn’t agree more. Most of the advanced research that I perform to build new relationships starts from Google. Such an amazing resource that continue to provide amazing results when you top into it in the best ways. The final presentation of the day was an exciting duo of Ryan Reger and Jenni Hunt. Aside from the amazing content that the two provided, Jenni also had a craving to throw chocolate kisses out into the crowd throughout the entire 45 minute presentation. 🙂 (Talk about some happy attendees). While they weren’t throwing chocolate into the crowd, the two broke down the process that they use for private labeling products on the Amazon Marketplace. Bing a topic that I don’t know a tremendous amount about, I was able to absorb a significant amount of information about the process of private labeling products on Amazon and how you should properly source them in the research stage. The two provided a comedic yet information packed presentation that perfectly rounded out day 1 at the conference. Too much content can be extremely overwhelming and make it difficult to keep the most important pieces for building your business. This wasn’t the case. The conference was very intelligently planned where there were 1 hour presentations followed by 30-60 minute breaks where people from the conference could get up, stretch, and meet other people at the event. As a sponsor at the conference, it made it even nicer. It can be extremely difficult to network for an entire work day and that’s the way that some conferences set things up for their sponsors leaving you in a place where you don’t have a voice, your head is throbbing, and you’re sweating from moving around and talking all day. With the set up of this conference, you had 30-45 minute stretches where you could talk to others, create some great relationships, and then hunker back down to learn from the top experts at the conference. Definitely a schedule that I would encourage other conferences to get on board with. Aside from everything else that I just mentioned in this blog article, the biggest pieces of advice that I took away from Day 1 at the CES V conference were specialized towards identifying wholesale products that have a high percentage chance of selling on Amazon. I know, that’s pretty general. But it’s true! The speakers on stage all provided their specific hacks that they’ve been using for the past 10+ years to build 7 figure businesses by selling on Amazon, whether that be wholesaling, drop shipping, or private label. While I’m an expert in selling on Amazon through drop ship relationships, I still learned new strategies and tools that people are using to research and identify even better products that my company could be offering. I LOVE THAT. To conclude this article, I want to encourage you to visit the links that I’ve outlined above. All of these resources are amazing places to learn about selling on Amazon, creating viral communities of customers, researching top selling and profitable products, among much more that will help you to grow your business online. If you’ve made it this far, thanks 🙂 Tomorrow, I’ll be back with another article covering Day 2 at Jim Cockrum’s CES V 2017 Conference in Orlando, Florida. 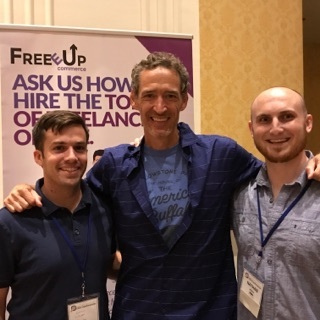 Be sure to come back to the FreeeUp blog or keep an eye on my social media accounts so that you can stay up to date with this inspiring conference.